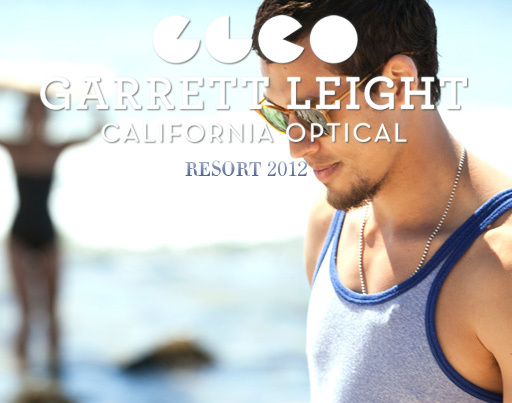 The Garrett Leight California Optical (GLCO) Resort 2012 collection is now available. Relax and take a carefree cruise down the coast with the laid back sophisticated style of Garrett Leight California Optical (GLCO). Effortlessly fusing timeless design with the “spirit of California” there is a clean aesthetic to GLCO that just feels right. After embracing classic American heritage in their last collection, this season GLCO gives us a touch of West Coast nostalgia as they pay tribute to their California roots. Three new sunglass models and two optical models are introduced to the lineup. The collection encompasses large acetate wrapped frames with attitude, as well as thin, comfortable, and clean optical frames. Each are available in very cool and unique colorways, such as: “Dark Caramel Gradient” with “Pure Brown” lenses, “Butterscotch” with old-school “Pure Green” lenses, and “Matte Honey Blonde Tortoise” with “Redwood” polarized lenses, a few of our favorites. As always, the quality and craftsmanship of each frame is paramount, with every subtle detail perfectly executed. The collection boasts great technical features such as: Italian Glass Barberini lenses for superb optics, Japanese aged acetate, German-made hinges plated in gold and silver, not to mention polarized and anti-reflective coated lens options. 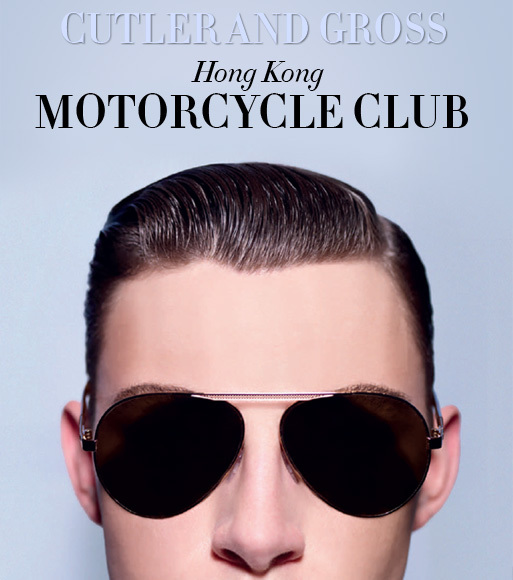 Part of Cutler and Gross‘ Spring Summer 2012 range the “Hong Kong Motorcycle Club” is a new premium and exclusive men’s collection. 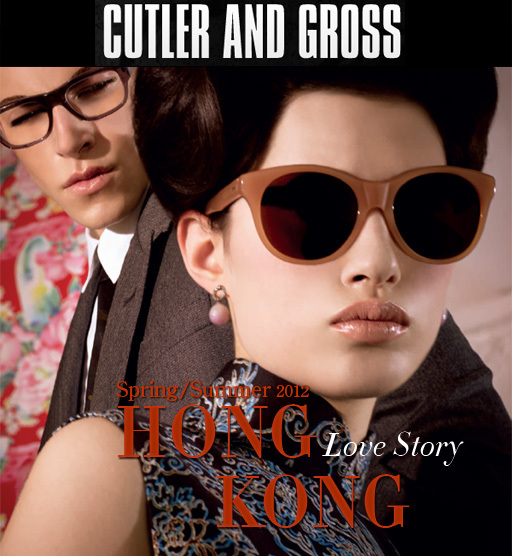 Cutler and Gross Spring/Summer 2012 “A Hong Kong Love Story” is now in stock. Each season Cutler and Gross whisk us away with an alluring passionate tale. Through a time, a place, a mood — an awe inspiring collection perfectly reveals itself. 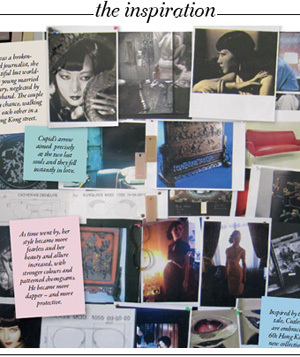 The Spring Summer 2012 range entitled “Hong Kong Love Story” transports us to Hong Kong in the early 1960’s, with a romantic feeling of forbidden love. With a touch of nostalgia Cutler and Gross introduces several one of a kind shapes of both sun and optical this season. Thoughts of Chinese engravings, the warm colors of sculpted wood, jasmine tea leaves, and the fragrance of mango and lychee give rise to stunning colors such as: “Rose Chinoise” a beautiful soft pink, vibrant “China Blue”, “Veneer”, and “Lychee”. As always, the quality and craftsmanship of each frame is remarkable and at the absolute highest possible standard. From the materials to the sizing and proportions, each subtle detail is perfectly executed, such as the signature engraving pattern on the “1053″ model, or the filigree etched metal work and brow bar on their “1055″ aviator model, among our favorites. 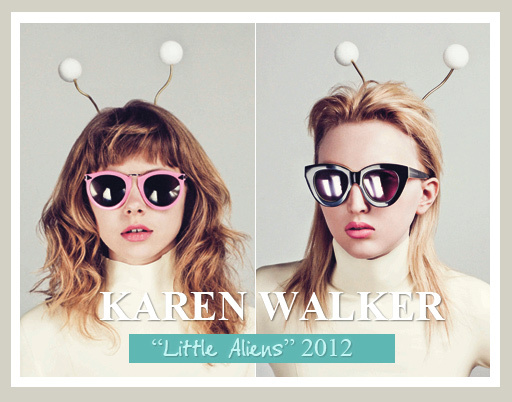 Karen Walker’s “Little Aliens” have touched down right here at Eyegoodies. Each season we can’t help but get excited to see what Karen Walker will come up with next. As usual they don’t disappoint: Fashion forward, chic, and always very wearable, Karen Walker delivers an out of this world collection (pardon the pun). Seven completely new shapes are introduced, from a big round eye named “IRIS” — to a 50’s-esque cat-eye named “TAXI”, as well as several effortlessly cool designs in between. Each are available in a variety truly stunning and original colorways, from gold-foil prints, to embedded sparkles, to “tri-layered” colors, to the always popular signature “crazy tortoise”. The “Little Aliens” campaign was shot by Derek Kettela – whose editorial work has been published in Wonderland, InStyle, Vogue, G.Q., just to mention a few. Check it out below, paired with our product photos.